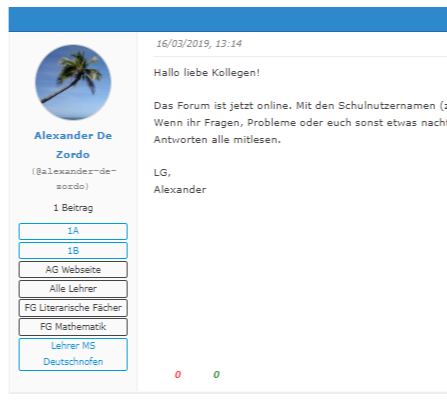 Is it possible to hide the user group list in the forum view underneath the user profile (see screenshot)? Just go to Forum -> Usergroups and select the "Hide usergroup" checkbox for the usergroup you want to hide. I see that also hides the groups in the profile, where I would like to keep them.